When a new ramen joint opens up in the CBD - by the name of Ramen Zundo - it's only reasonable that two hungry uni students are eager to try it out one night. The entrance alone, with its grand paper lantern facade got me interested. 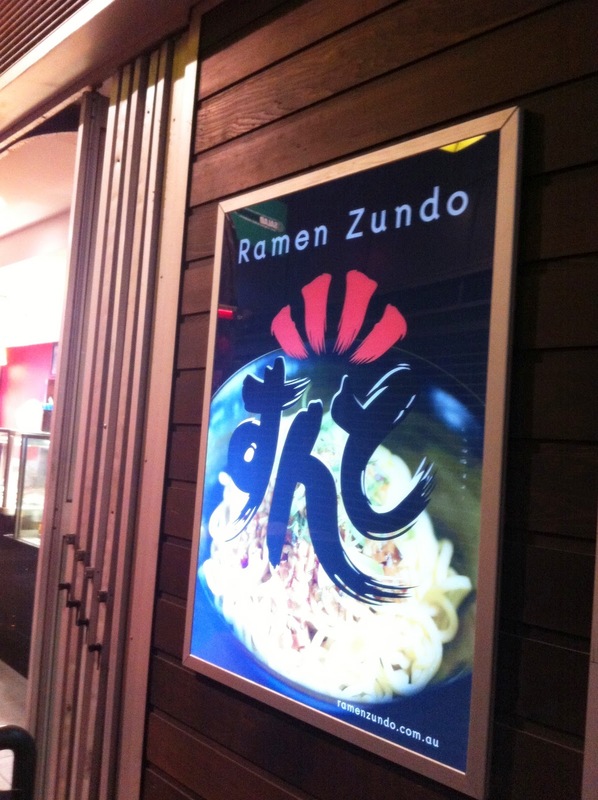 You can find Ramen Zundo tucked away in one of the laneways of World Square, closest to the Liverpool Street exit. The menu is quite simple with some Ramen Noodle options, followed by Japanese Curries and a selective few Small Dishes and Ice Cream. 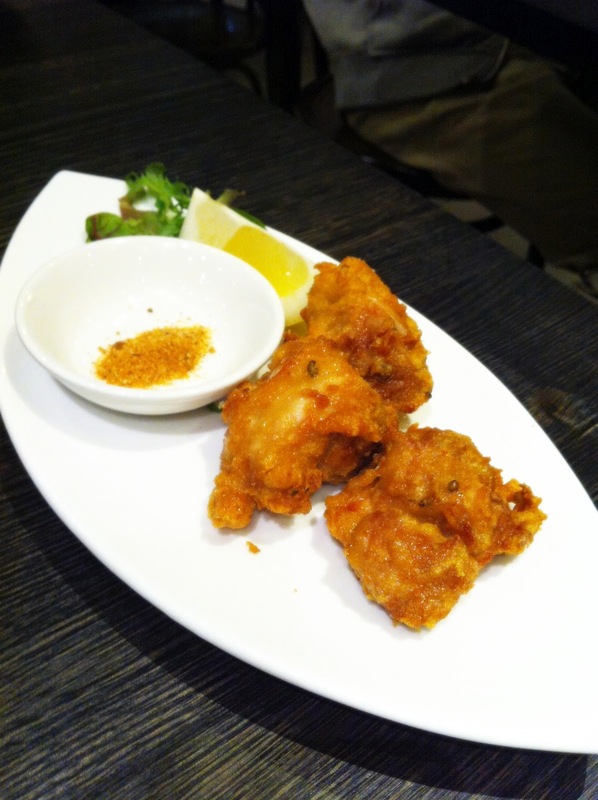 We started off with the 3 Pieces of Karaage ($4.50) which was beautifully golden crispy, with a relatively thin batter, to my delight! Once dipped into the spiced salt sprinkles, the flavour triples and it becomes slightly addictive. You can also opt for 6 pieces ($7.90) if you're super keen for more chicken. 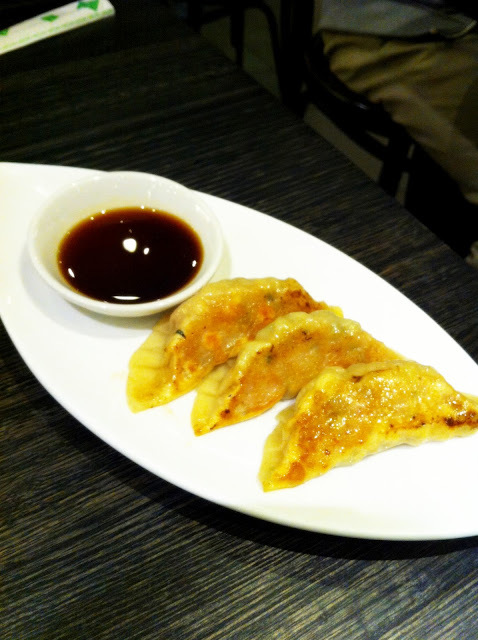 The 3 Pieces of Gyoza ($4.50) were fresh and had a lovely crispy bottom yet both M & I were not a big fan of the mince pork filling. M ordered the Ramen Noodles in Double Soup Soy ($10.80) which consists of a combination of clear chicken and rich pork bone soup. The big white bowl was topped with seaweed, bean sprouts, cabbage, bamboo shoots, half of a half-cooked egg, shallots, and of course, chasu roast pork belly. The chasu in both ramens was absolutely amazing! It was so soft and fatty (in a good way), that it just melted in your mouth. 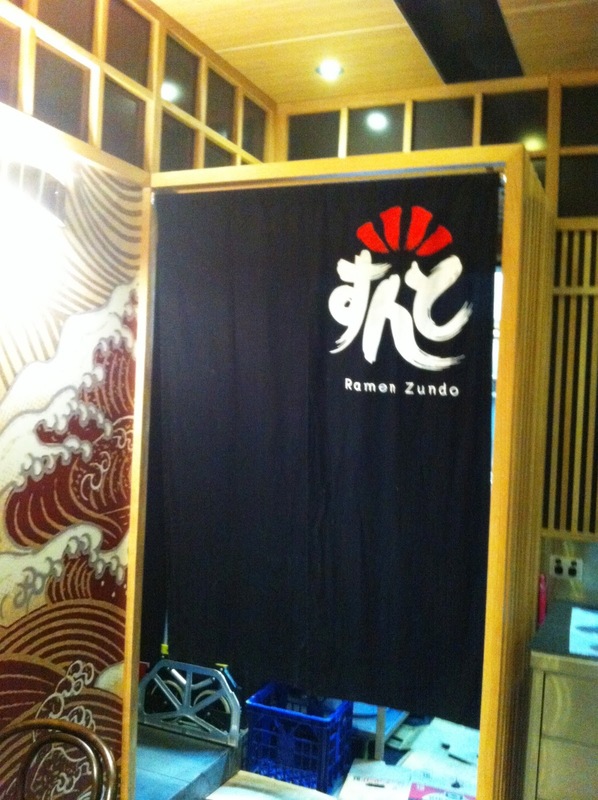 I ordered the the most popular option on the menu: Ramen Noodles in Tonkotsu Soup with a Zundo White flavoured broth ($11.80). According to their description, it is essentially a pork bone broth, gently boiled over 12 hours to result in a richly flavoured soup. I also added an extra Boiled Egg for $2.00. 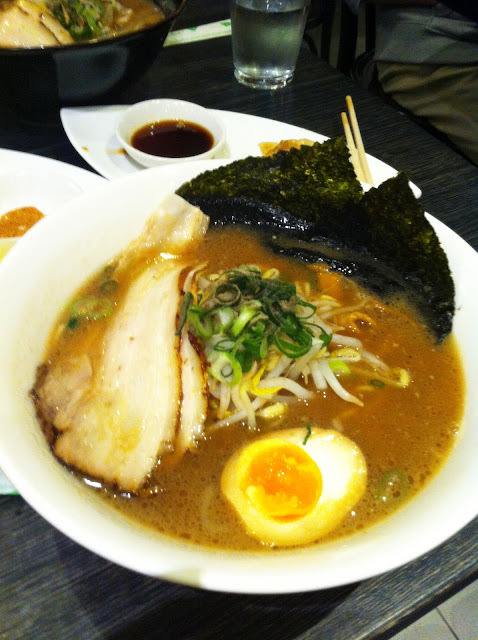 The noodles were very bouncy and chewy but I felt that the broth was still a bit too thick and oily for me.